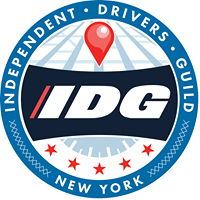 The Independent Drivers Guild is a Machinists Union affiliate that represents over 45,000 For-Hire Vehicle drivers in New York City. The IDG is the first nonprofit alt-labor organization to negotiate a seat at the table with ride share company and the first to offer crucial new protections and essential benefits while building worker power. Reporting to the Director of Organizing, the Field Organizer is part of a cross-departmental team. They participate in staff meetings and works to develop strategy with the Director of Organizing. The Field Organizer performs a range of duties, which may vary according to the needs of the overall program, a specific action, or the needs of the IDG. Fluency in a second language is preferred. Qualified candidates may send a résumé and cover letter to jobs@drivingguild.org with “Field Organizer” in the Subject line of your email. IDG is an equal opportunity employer. All persons regardless of age, race, ethnicity, gender, religious affiliation and sexual orientation are encouraged to apply. People of color and women are encouraged to apply.